Revenue growth was driven by BT’s September 2018 price increase and the continued increase in handset costs for customers, partially offset by solus voice reductions. 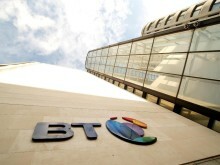 EBITDA growth was driven by the price increase for BT customers and a one-off accounting charge, on a pro forma basis in the prior year, due to a change in contract terms of Openreach FTTC connections. To improve pricing clarity for our customers, we recently announced a move to annual CPI increases for our BT fixed and mobile products starting in 2020, with no price rises for those products in 2019. While our mobile market share is broadly flat, trends in the high-end smartphone market continue to be challenging. We are seeing aggressive broadband price competition. In addition we will be impacted through the next year by a number of headwinds, in particular from regulation including increases in annual spectrum licence fees, mobile spend caps, international calls regulation and auto-compensation for fixed customers. Revenue decline was mainly driven by the decline in the fixed voice market, where we are seeing a steeper than expected reduction in calls per fixed line, in part as usage moves to mobile and IP. We also saw continued declines in some of our other legacy products, for example private circuits, as well as lower equipment sales. These effects were partially offset by growth in networking and IP and good growth in messaging volumes in Ventures. However, as in the consumer market, the enterprise smartphone market continues to be challenging. EBITDA decline was driven by the lower revenue, partly offset by labour cost efficiencies and other cost transformation initiatives. Order intake for retail and wholesale declined on a rolling 12-month basis mainly reflecting a large contract in the prior year. Revenue decline was mainly driven by our strategic decision to reduce low margin business. Whilst the impact of divestments did not have a significant impact in the quarter, it will have a greater impact going forwards. EBITDA growth reflected lower operating costs including lower labour costs from our ongoing restructuring programme, partly offset by lower revenue. Order intake was down for the quarter and on a rolling 12-month basis reflecting a continued shift in buyer behaviour, including shorter contract lengths and increased usage-based terms. During the quarter we launched Cloud Connect for Google to provide organisations with simple, direct and fast access to Google Cloud Platform. Revenue decline was driven by around £180m of regulated price reductions on our FTTC and Ethernet products, the impact of the Openreach volume discount offer, and a decline in our physical line base amplified by the one-off accounting benefit, on a pro forma basis in the prior year, due to a change in contract terms of our FTTC connections. EBITDA decline reflected lower revenue, higher costs from recruitment and training of engineers to support our Fibre First programme and to deliver improved customer service, pay inflation and increased business rates, partly offset by efficiency savings. 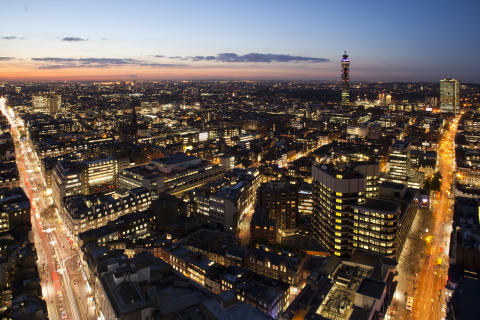 The Openreach volume discount offer continues to deliver strong upgrade volumes with 680,000 fibre broadband net additions during the quarter. We also had a strong quarter for Ethernet, with over 19,000 circuits ordered.